The Cancun airport transfers, itâ€™s our basic transfer from/to the cancun airport service, and itâ€™s aboard a van for up to 7 pax. Our cancun transfer service, itâ€™s totally privateâ€¦ So you donâ€™t need waste time waiting for other passengers like in the shared shuttles. On your arrival at the airport, one of our representatives will be waiting you, and he will guide you to the vehicleâ€¦ And when you were ready, our experienced chauffeur will leave the airport. All our vehicles are of a recent model, and they are constantly reviewed thoroughly for your safety. So, this is a great option if you want a safety transfer service from cancun airport for your next visit to the city. We have more of 10 years experience on Cancun airport transfers and we know that your safety and comfort itâ€™s a priority, thatâ€™s why we offer first-class services with a low Price. We are sure you will enjoy your journey with us. Our clients love us, find us on Trip Advisor! 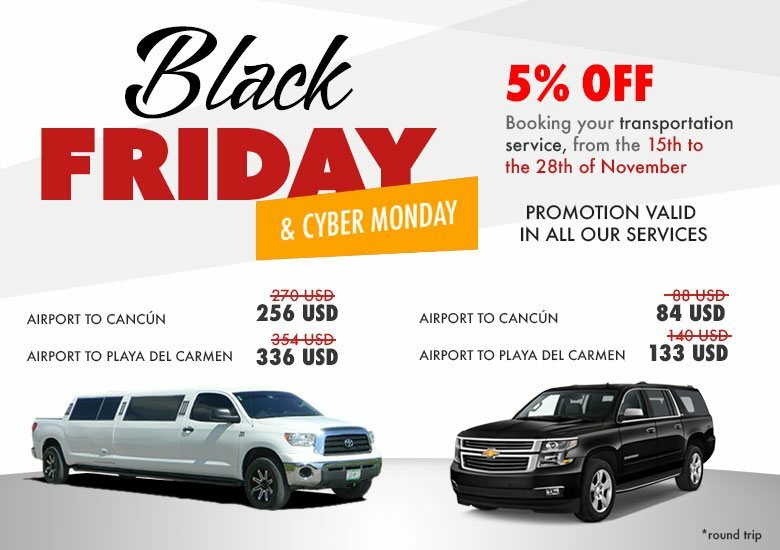 Stay stress-free and book your Cancun transfers now.